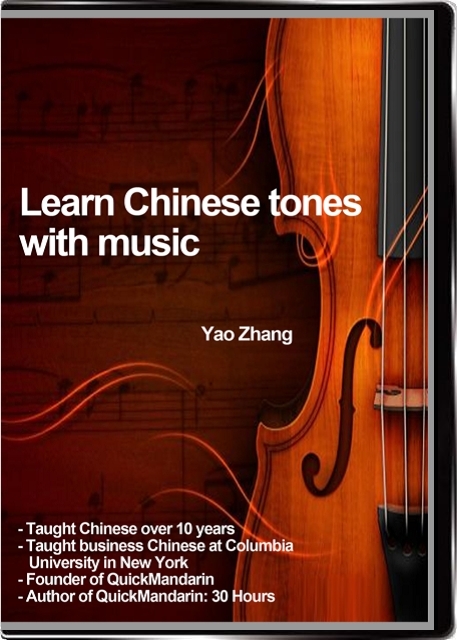 "Simply the best way to Chinese tones..."
Learn Chinese tones with the best professor! The foundational importance of the Pinyin tones has frequently been overlooked by Chinese learners and instructors. The introduction of the 4 Chinese tones and their Pinyin pronunciation is often presented in a confusing, ineffective manner, frequently reduced into 1 or 2 short sessions – far too brief, according to Yao Zhang, a renowned Chinese instructor and author. A student with a significant vocabulary yet poor oral and listening skills is an all too common indication of a weak foundation in tones and pronunciation skills, a circumstance that Yao has witnessed far too frequently during his teaching career. This video is the culmination of knowledge and experience gained during Yao’s impressive 10 years of international teaching in Shanghai, Paris, New York and Vancouver. Yao Zhang introduces the Pinyin 4 tones in an enjoyable and spontaneous manner, adding interest and effectiveness through the use of the violin and piano. QuickMandarin.com © 2005-2011 All rights reserved.